Case IH’s Puma tractor range has won a US machinery innovation award. US magazine Farm Industry News recently announced the winners of its 2008 FinOvation awards. The awards are determined by reader votes for the hundreds of new products featured in the magazine. Two new Puma models with a shorter wheelbase have recently been introduced. These new models join the existing Puma lineup – four models ranging from 165 to 213 Hp – that won the FinOvation award. Puma tractors are ideal for a wide variety of tasks and offer the speed and manoeuvrability required for row-crop farming and the power needed for field operations, the heavy loader work of large hay and livestock operations and the specialty needs of vegetable farms. The Puma name has a heritage dating back to 1986 when Steiger introduced the Puma 1000 row-crop tractor. Like today’s Case IH Puma tractor, the Steiger Puma combined high horsepower with manoeuvrability. The new Puma tractors exceed the horsepower of their namesake, with added flexibility and fuel efficiency. 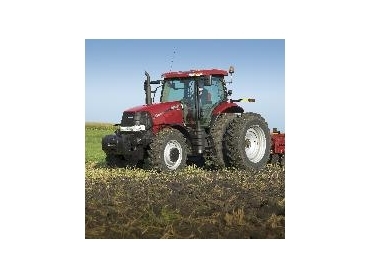 Options including the Smart Suspension MFD axle, Positive-Response suspended seat technology and Turn Assist steering system make the tractors easy and comfortable to operate, while the Headland Management System can store multiple headland-related operations.